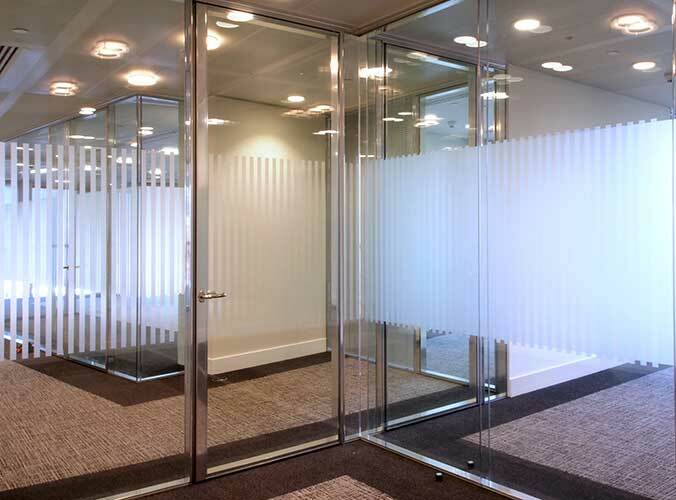 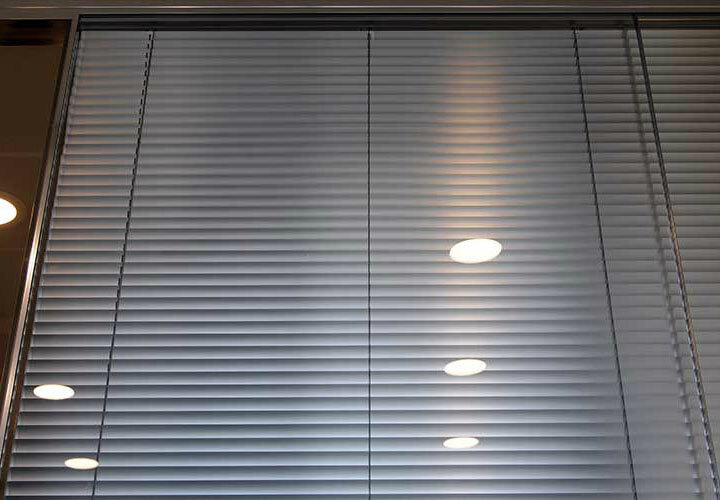 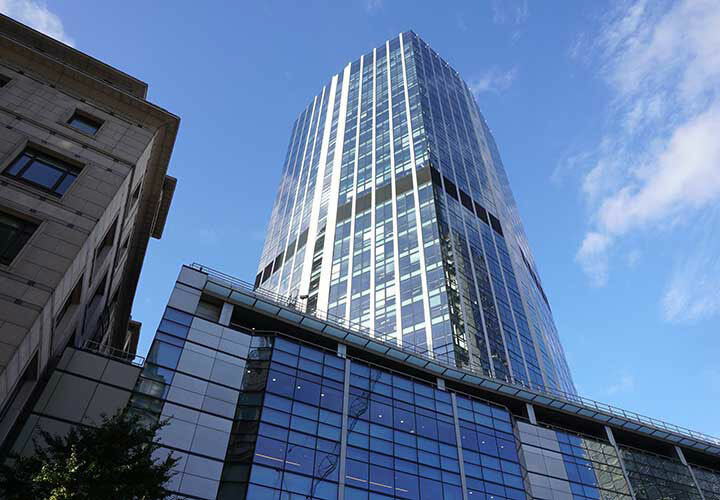 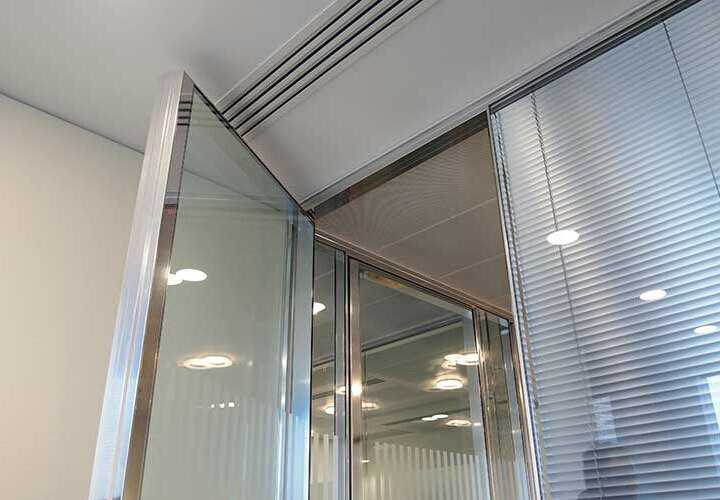 A glazed office front installation featuring polished aluminium framing with clear polycarbonate vertical joints. 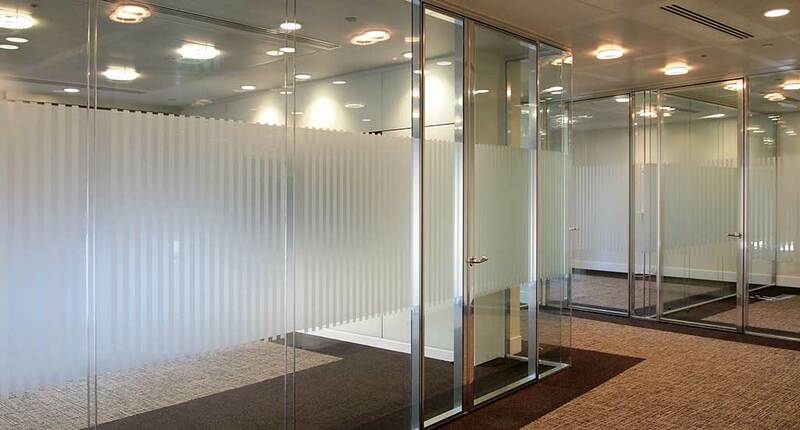 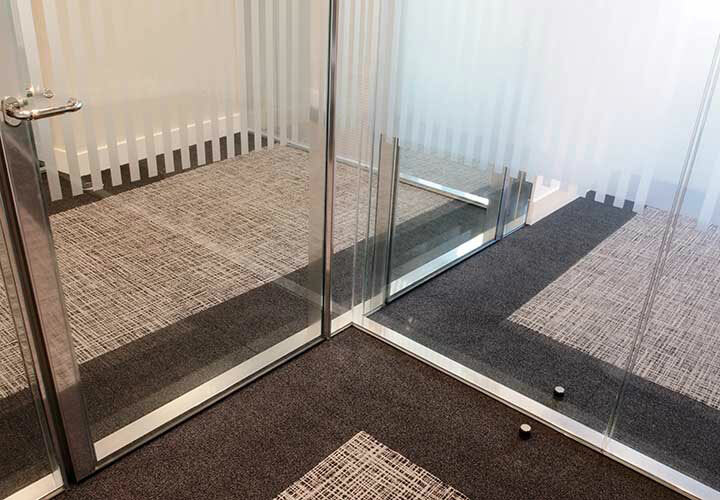 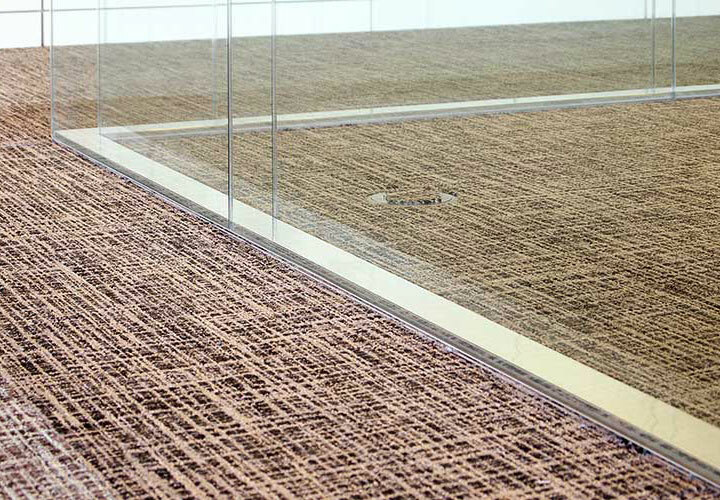 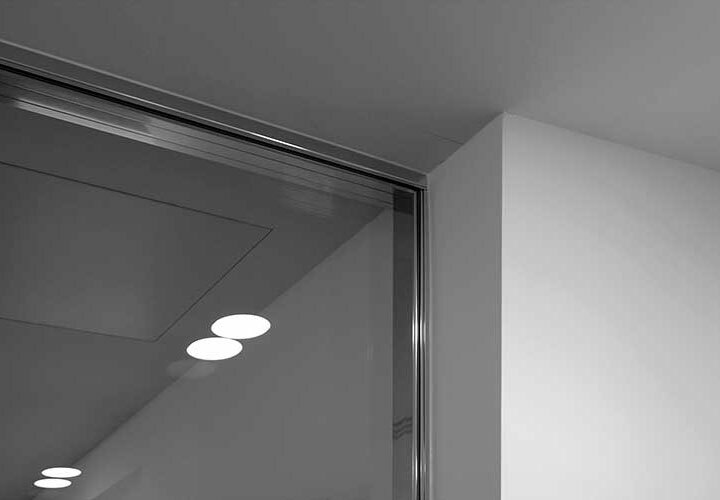 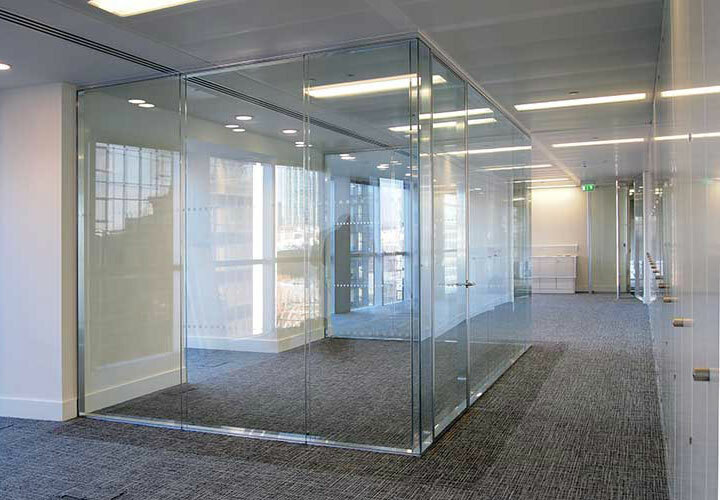 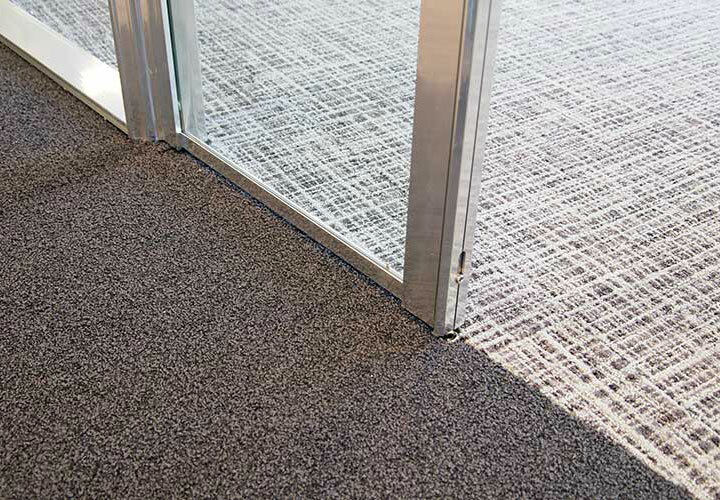 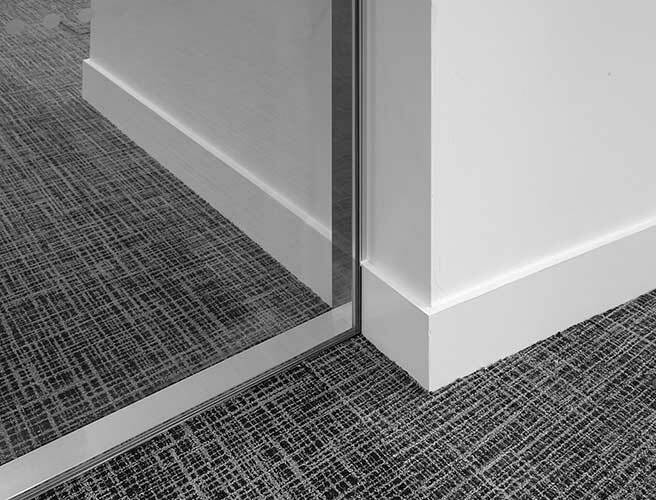 The smallest floor track depth and vertical abutments have been used to give the maximum clear area of glass. 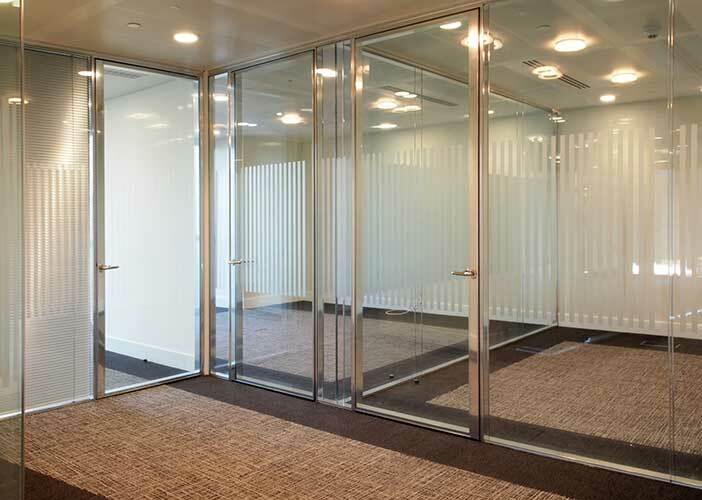 3 way and 90° double glazed junctions between adjacent doors are elegantly detailed. 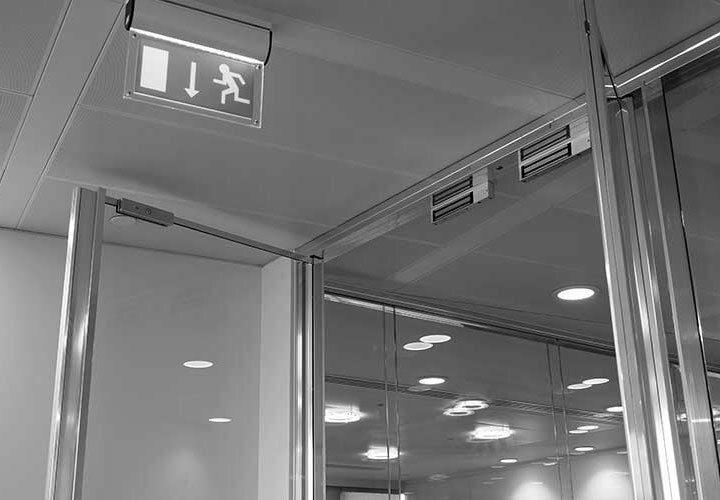 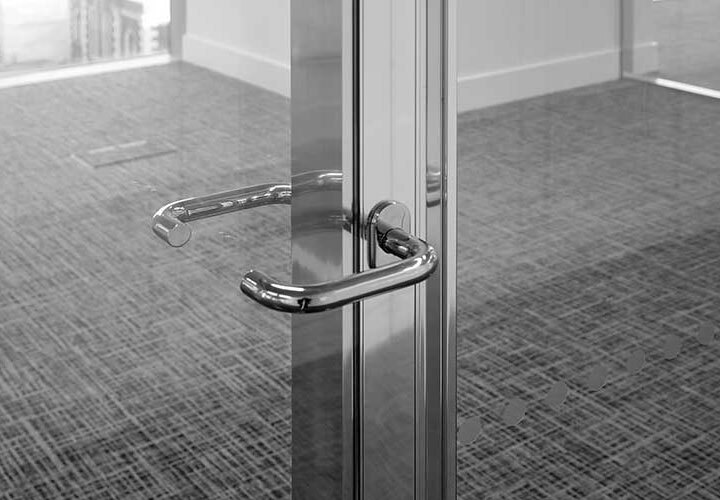 Single glazed double doors with electronic locks suited to match the overall scheme and security requirements.